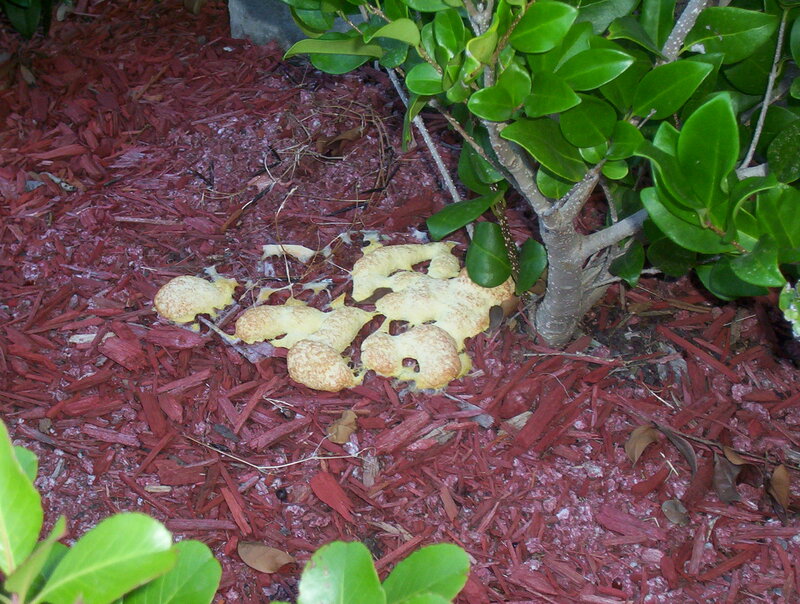 This growth is the fruiting part of the fungus that is breaking down organic mulch. It's no problem at all unless it grows around the stems of the small plants. You can kill it by breaking it up mechanically with a cultivating tool or spraying with a rounded tablespoon of baking soda per gallon of water. The organic stores have a product called potassium bicarbonate that is even better. Use it at the same rate. 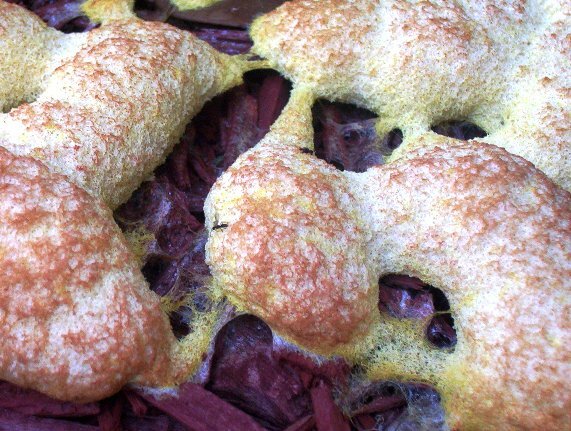 Horticultural cornmeal will neutralize it. By the way, use something other than that horrible chemically-dyed mulch. Shredded native cedar is the best choice.